Parking problems outside schools is a problem across the whole of Edgbaston Ward and understandably infuriates residents who live around schools. It is also highly dangerous for school children, other pedestrians, and other motorists when cars are parked in unsafe locations. On Tuesday of this week, I joined residents outside one of our schools – talking to, and giving leaflets to parents who had parked on double yellow lines, and on junctions. 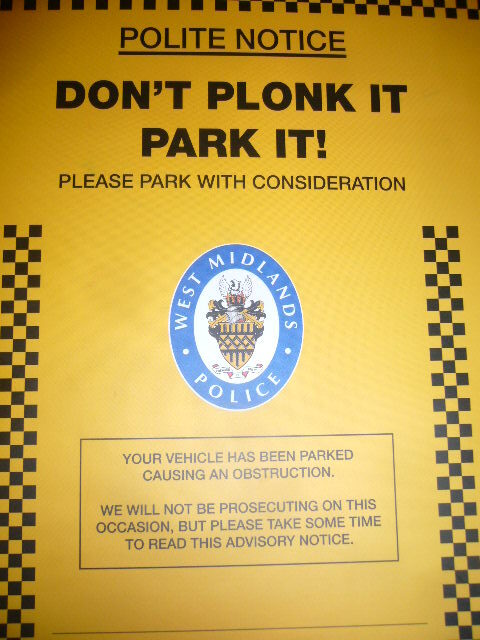 The leaflet has been produced by West Midlands Police, Birmingham City Council and West Midlands Fire Service and gives useful information about inconsiderate parking and possible alternatives to using a car for the school run.